Bomani Jones Joins ESPN Radio Hosts Jorge Sedano and Freddie Coleman to Create Enhanced Weekday Evening Lineup - ESPN Press Room U.S. The Right Time with Bomani Jones Debuts at 9 p.m.
ESPN Radio will debut an enhanced weekday evening lineup beginning Monday, March 30, with shows hosted by three distinct ESPN voices with disparate takes on the sports world – Jorge Sedano, Bomani Jones and Freddie Coleman. The new lineup will kick off at 7 p.m. ET with The Sedano Show, followed by an evocative new program The Right Time with Bomani Jones at 9 p.m. and continuing with the three-hour The Freddie Coleman Show at 11 p.m. The restructured lineup will provide sports fans the opportunity to listen to three dynamic individuals who all offer thought-provoking opinions on the most impactful topics of the day. “The new weeknight lineup underscores our commitment to serve sports fans by offering the most compelling, interesting, informative and entertaining content from an on-air team that is dynamic, distinctive and diverse all week long,” said David Roberts, vice president, ESPN Audio network content. Jones has contributed to ESPN as a writer and commentator for close to a decade. He became a fulltime co-host of Highly Questionable, on ESPN weekdays at 4:30 p.m., in May 2013 and had previously appeared regularly on ESPN Radio’s The Dan Le Batard Show. The Right Time with Bomani Jones will showcase Jones’ provocative opinions, relevant guests and listener interaction while discussing topical issues. Jones’ show will be broadcast from Miami. With more than 15 years of radio broadcast experience, Sedano hosted Sedano & Stink alongside Mark Schlereth since joining ESPN in 2013. The Sedano Show will focus on the latest sports news with an emphasis on listener interaction. Coleman joined ESPN Radio in 2004.The Freddie Coleman Show, with a new start time of 11 p.m., will remain the post-game destination for radio listeners, with an emphasis on reaction, opinion and post-game interviews with the night’s difference makers. All programs will be available nationally on ESPN Radio, espnradio.com, the ESPN Radio app, SiriusXM, Apple iTunes, Slacker and TuneIn. 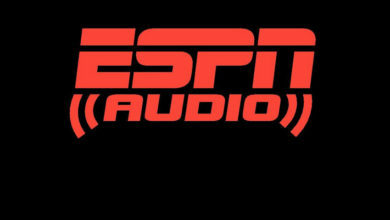 In January, ESPN Audio also revamped its weekend lineup that added fresh perspectives from some of the top voices across the country.